Facing the Arabian Sea on the west, Alibag, also spelt Alibaug, is the administrative headquarters of the Raigad district in the state of Maharashtra and a popular weakened gateway from Mumbai. The laid-back market town of Alibag is a surreal destination which is used as a base for exploring the beaches of Kihim, Varsoli, Awas, Akshi and Nagaon which are located within a radius of ten km from Alibag which is a lovely beach in itself. 11 km from Alibag, Kihim is fringed with lush palm trees. 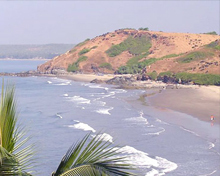 30 km south of Alibag, the secluded beach of Kashid is known for silver white sands and beautiful rolling hills. Prakruti Resort is the accommodation facility at Kashid. 51 km from Alibag, it was the last outpost of the Siddis of Janjira and remains of their rule are scattered all over the town. It is beautifully situated with a long stretch of beach. 52 km away from Alibag is located the beautiful fishing town of Murud, known for the commanding island fortress of Janjira and a charming beach. 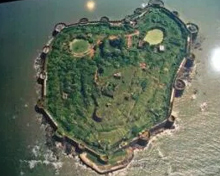 Janjira was once a formidable fort, constructed in the 17th century AD. Today the fort stands in ruins. Janjira Fort is approachable via Rajpuri (6 km) from where it is connected by boat services. Alibag is not only known for its natural wonders. Magen Aboth Synagogue is an important attraction of Alibag. This synagogue is a holy place for the Jewish community. Other well-known attractions in and around Alibag are Kolaba Fort and Kanakeshwar Temple. A marine fort Kolaba is accessible only during low tide. Perched on a hillock, the Kanakeshwar Temple, dedicated to Shiva, can be reached by a 700 step climb to the top. That said, Alibag's wide array of attractions ensures that visitors to this seaside town on the Konkan coast will find themselves in the pleasant dilemma of choosing which one to focus their attention on. Hotel Alibag Big Splash, Hotel MeeraMadhav, Hotel Amrahi, Guruji Holiday Resort, Hotel Prajakta, Rajnigandha Holiday Home, Hotel Ravi Kiran, Hotel Ruchi Tarang, Hotel Sea View, Sun Glow Resort, Pushpak Lodge, Sagar Lodge and Swapnil Guest House are some of accommodation options in Alibag. The best way to reach Alibaug is by ferry from the Gateway of India, in Mumbai. You can also find regular ferry services from New Ferry Wharf, Mumbai to Rewas. After sailing for an hour and half to Rewas take a forty-five drive by road to Alibag. You can also Alibaug by road, via the Mumbai-Goa Highway. 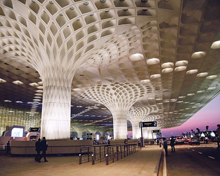 The Chhatrapati Shivaji International Airport in Mumbai is 125 km from Alibaug. Pen and Panvel on the Konkan Railway are the nearest convenient railheads. Major cities near Alibag connected with it by road are Mumbai (108 km) and Pune (150km).